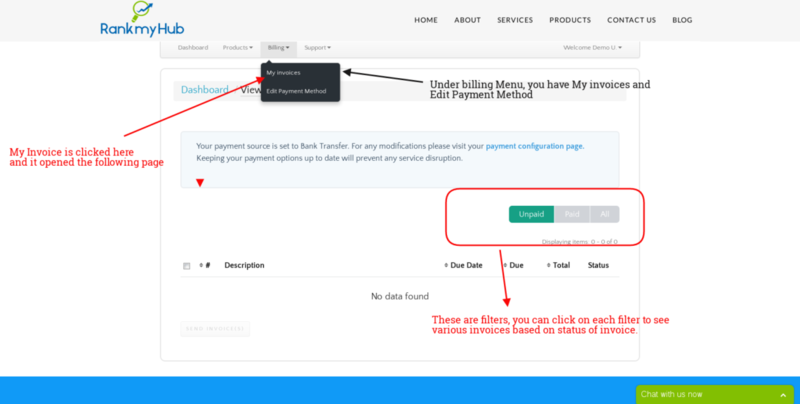 In this article, we will walk through Billing Menu and its Options in Customer Portal. How to view your Invoices and their status. Click on My Invoices option under Billing Menu. See the screenshot below for details. When you click My Invoices, the following page will b opened. Of course, it might show the invoices if you have paid or unpaid. 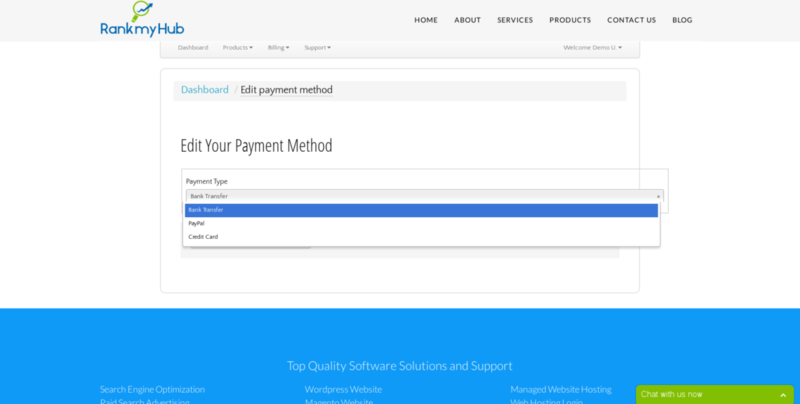 As this is a demo account, we have no invoices shown here. Unpaid: This filter will show the invoices that are not yet paid. Paid: This filter will show the invoices that are already paid. All: This filter will show all invoices under your account, it includes any package or product invoices. 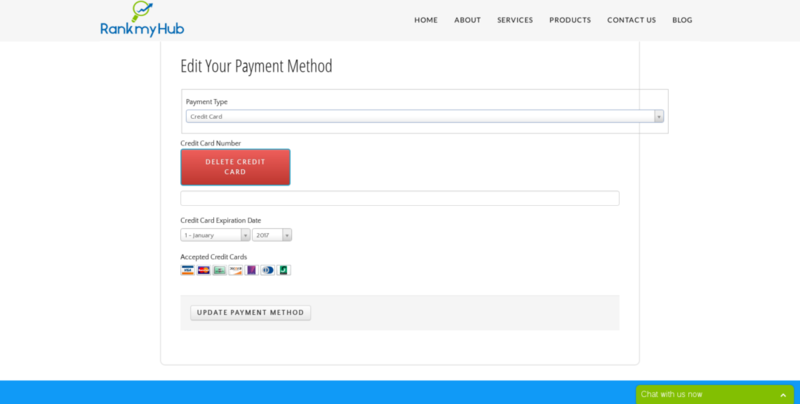 Here you can choose the payment method that is default for all the packages or products you have ordered with us. The options are Bank Transfer, Paypal, Credit Card. Please note that, In case you choose bank transfer, the payments are not processed automatically. Hence we suggest you to use this option, only if you are aware of what you are doing. Currently bank transfer is only accepted for customers from India, who will do NEFT, IMPS or RTGS money transfer. Always pay your invoices ontime to avoid any suspension or late fees. If you have credit card on file with us, you can update it here or delete it or add a new one, based on the need. This screen also shows the list of cards accepted by us. If you have any issues with billing or invoices, contact our support or email us. We will resolve the issues and help you. Thank you.